It being the verge of summer, it is time to be ready to repel insects and philistines. 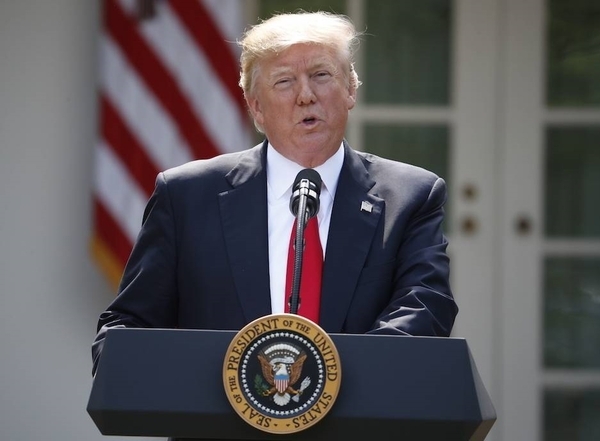 One current infestation of philistines has raised the fatuous roar of lamentation over the U.S. withdrawal from the Paris Agreement on climate change. Donald Trump had promised throughout his campaign to do this and it should not have come as a surprise. The treaty consisted of every country pledging whatever its political class was prepared to claim as a goal. Such promises are rarely kept but even if they had been, the Paris treaty would have had no appreciable impact on climate or temperature, though immense amounts of money were pledged to be spent. One of the costlier items was a pledge of US$100 billion a year in climate aid for the developing world. This was just a sophistical exercise in universal deception — any government, democratic or otherwise, that sought to deliver any significant part of such a boondoggle would be promptly evicted from office. The Paris treaty provided for the expenditure by 2040 of US$3 trillion in subsidies for green energy (especially wind and solar), to get them to provision less than three per cent of the world's energy needs. Green energy is far from being competitive with fossil fuels, requires crushing burdens of subsidization, creates extensive unemployment and generally retards economic growth. The whole concept is nonsense and has been embraced by venal politicians who want to subscribe to splashy and incomprehensible arrangements that placate the eco-alarmists and create an illusion of progress. Paris was a feel-good agreement that kicked the can down the road and set up insurmountable fiscal and economic hurdles and unsustainable economic burdens that would be upon us in a few years. Justin Trudeau knows perfectly well from prominent members of his staff who served in the Ontario government what the cost to that province has been of the total immersion pursuit of renewable energy, and German Chancellor Angela Merkel, in shutting down nuclear power out of cold terror of the green vote, has sustained nearly 350,000 suspensions of domestic electricity in Germany. There is no sane policy except intensified research on cheaper alternatives, and drastic measures to reduce environmental pollution from carbon use and all other sources, and sophisticated analysis of climatic developments in a way that insures against false alarms by charlatans shouting hysterical warnings of skyrocketing global temperatures. Instead of being reviled as a menace to the planet, Donald Trump should be praised for sparing the world a needless economic calamity. The United States remains committed to environmental protection and has done more by far than any other country to restrain carbon emissions, having reduced them to 1994 levels under administrations of both parties. Another outburst of philistinism has arisen about cultural appropriation. Hal Niedzviecki resigned as editor of Write Magazine (published by the Writers' Union of Canada — prepare to fear the worst) after failing to take complaints about cultural appropriation by authors as seriously as the mob demanded. Cultural appropriation means people adapting styles and vocabulary and attitudes from cultures that are not their own. The most offensive practices involve the abuse or suppression of minority cultures, but in the unique Canadian genius for extending the frontiers of witless political correctness, it also means benignly intended citations of foreign cultures by people who are not members of that culture. Niedzviecki explicitly opposed the exploitation or corruption of any culture, and wrote that it was up to each individual writer to determine the balance between a respectful or at least inoffensive appropriation of an aspect of another culture while staying clear of stereotypes or collective disparagement. Only in Canada, and probably only among Canadian writers (leaving out for our purposes here how competent some of them are at writing), could this become a career-ending offence. The writers' union accused Niedzviecki of causing "pain and offence (by) "dismiss(ing) the racist systemic barriers faced by indigenous ... and other racialized writers." As my friend Ken Whyte wrote in these pages on May 16, Niedzviecki was calling for exploration of other cultures "with care, respect, and empathy." Any serious definition of the purpose of professional writing includes promoting a greater knowledge and appreciation of other cultures. Carried to ostensibly logical lengths, we would be barred from discussing the vagaries of widely disapproved cultures such as Nazism. The Nazis had some academically serious proponents, including for a time Martin Heidegger, and even, possibly to a limited extent, Oswald Spengler. We yet dare to find fault with Nazism. The Write Magazine editor's supreme transgression was to propose a prize for appropriation. Trespass on cultural sensibilities escalated by the gentlest irony caused progressivism to metamorphose into repression. There is plenty of precedent for that and we should all beware of where it could lead. The most virulent current form of philistinism slavishly portrays the incumbent president of the U.S. as a stupid monster, and bandies about imputations of impeachable offences and uninformed comparisons with Watergate and other controversies. My friend and colleague Andrew Coyne seriously embarrassed himself here last Saturday, claiming that what is occurring in Washington is "worse than Watergate," because it involves betrayal of America to a foreign power (the Russians of course), and fails to recognize that lies are bad and this administration, unlike that of Richard Nixon, does not deny uttering them. Such a mad eruption of historical invention impels correction. Watergate was a forced entry that did not result in any theft or damage. Several members of the Nixon administration perjured themselves in subsequent testimony and did conspire to obstruct justice. There has never been any convincing evidence that president Nixon, who had one of the most successful presidential terms in American history, committed any illegalities. But he badly mismanaged the public relations problems and declined to submit the country to the ordeal of an impeachment crisis and retired. The appearances before the U.S. Senate intelligence committee of former FBI director James Comey and this past Tuesday of Attorney General Jeff Sessions established that the entire Russian collusion argument against the Trump campaign is a fraud. The FBI, CIA, and other agencies have been tearing through this for 10 months and the intelligence and other congressional committees for five or six months, and nobody has found any relevant evidence. Comey admitted he had leaked a contested version of a conversation with the president to provoke the appointment of a special counsel, and acknowledged there were no grounds to suspect the president of anything, but darkly insinuated that Sessions may have had compromising discussions with the Russians. Sessions, in his appearance, uncontradictably called this "a detestable lie." Comey obeyed when the then attorney general, Loretta Lynch, told him to downgrade the Clinton's misuse of emails investigation to "the Clinton matter," and he deliberately declined to give any public indication that Donald Trump was not a suspect until questioned under oath at the Congress. The collusion canard was fabricated by Hillary Clinton and her campaign manager to explain her defeat. It addressed the inability of the great bipartisan Washington political sleaze factory to accept that it had been defeated, and serves the Democrats' righteous desire to immobilize the administration and the Republican congressional majorities with a false scandal propagated by fake news, in order to avoid the imposition of Trump's radically sensible program. The criminalization of policy differences, in Watergate, Iran-Contra (Reagan) and Monica Lewinski (Clinton) is a terrible and dangerous practice. And it is especially so now when there is no evidence of serious wrongdoing. If the Democrats push this much further, instead of getting Trump's flamboyantly coiffed scalp, they will get Lynch, Comey, the Clintons and Obama before grand juries. They are all a good deal more vulnerable legally than Trump is, and they are out of power. Andrew Coyne and other normally intelligent people should not allow their distaste for Trump to make them credulous dupes of the corrupt post-Reagan Washington pay-to-play circus, now in its death-throes.